Pass the OCS exam without breaking the bank. References to support each question. Click on the book cover to see a sample of the questions on Amazon. Ortho PT Questions is a study guide for physical therapists to pass the Orthopedic Certified Specialty examination. This book contains over 200 multiple-choice questions with explanations of the correct answer choices and citations that support the question. 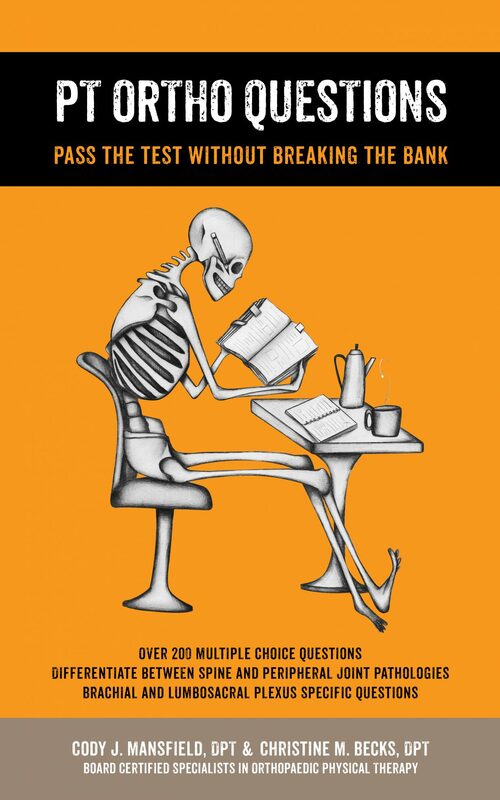 Pass the test without breaking the bank, and practice OCS-like questions before taking the test.